Peter Sprague | Getting Right To It! Streamlined and getting right to it. 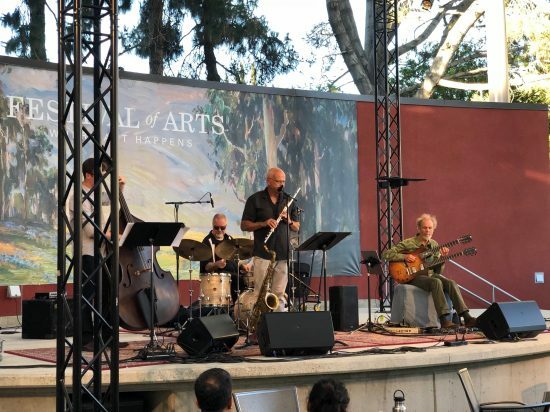 Last week we had wonderful musical moments all around the neighborhood including a sold out concert at the NC Rep and the amazing setup at the Laguna Arts Festival. What a place for music, art, and food! 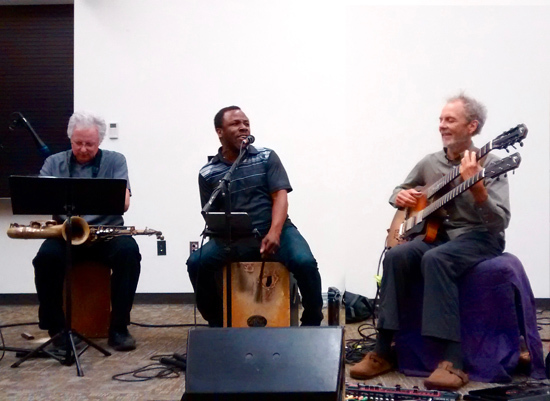 Live in Laguna with (left to right) Mack on bass, Duncan on drums, John Reckivics on sax, and PS. On the schedule for this week in live music, first up on Thursday night Leonard and I make our way to the beautiful Solterra Winery & Kitchen in Encinitas right down from my house. We played this gig last month and it’s a superb time with enthused music listeners, killer food and wine, and the vibe of the hip beach life of Leucadia taking over. See you there! 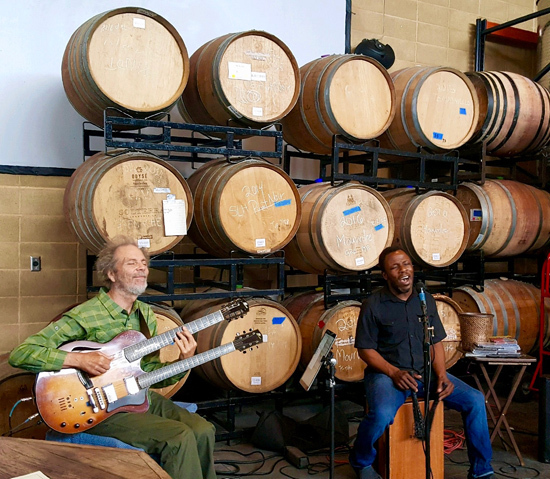 This is from a while back with me and Leonard jammin’ at the Soltera Winery. Those barrels of wine made the room sound exceptionally good! For Friday it’s two gigs, starting with me and the solo guitar world at Flower Hill Promenade parlaying into an early evening hit at the Handlery Hotel with vocalist Allison Adams Tucker. Allison sings it up with a beautiful sound and vibe. She’s part of our new CD project Sparks and Seeds and she’ll be with us next week for the release concert. If you haven’t been to the Handlery for live music you’ll love it — listening only, enthusiasm every which way, and great sound. 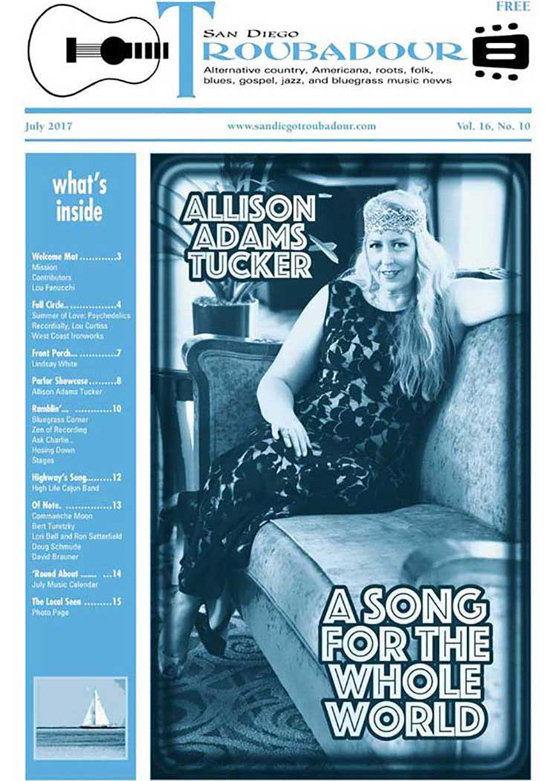 Allison on the cover of the SD Troubadour! Laguna band with PS, Justin, Tripp, and Leonard hamming it up! The last concert of the week takes place on Sunday night at the Christ Presbyterian Church right off La Costa Avenue in Carlsbad. 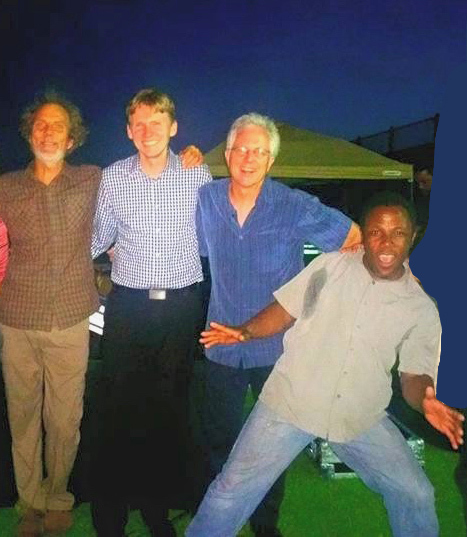 We’re presenting the trio with Leonard on vocals, Tripp on sax and flute, and me on guitar. This place is set up for music and they have a talented composer named Oleg running the music series. Lots of fun and hope you can zip by for a listen.